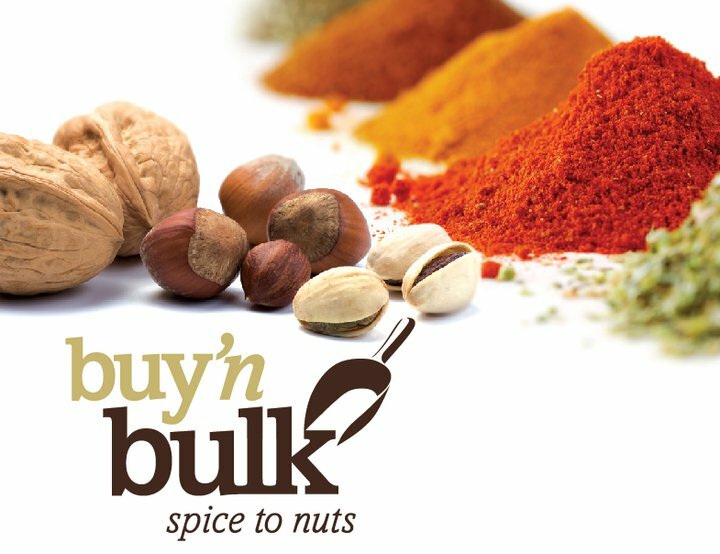 Jump is excited to share the news of the opening of buy’n bulk, a bulk food retailer, this Sunday in Lake Forest, California. We worked with the company in creating their brand’s design conception and retail store design. buy’n bulk will offer Southern California a new food shopping experience where thousands of products – everything from spice to nuts, coffee to vitamins and much more – will be available in a scoop, weigh and pay format that allows customers to buy as little or as much as they desire. The new store is an overall economical, environmentally-friendly way to supply your home with superior products that will save you time and money. Whether you are stocking up for a meal, for the week, or for a month, you will find everything you are looking for in the quantity you need. Their selection of quality, fresh products and competitive prices are sure to impress – and just remember, when you scoop you save! (Not only your money, but also the environment through reduced waste and packaging). Stock up on the latest from buy’n bulk on the company’s Facebook page or their official Jump-designed website that will be launching shortly. And if you haven’t already, check out all the latest on terra20 and Jump’s other retail clients from our news blog.